Witcher 3 Dev: Storytelling Not About "Number of Outcomes"
Executive producer John Mamais says The Witcher 3 will deliver a combination of choice and "gripping" storytelling. If you were to try and an encapsulate The Witcher experience in a single word, "choice" wouldn't be a bad one. While other games play at giving players personal agency over the progression of the story, CD Projekt RED's The Witcher series is an arguable champion of the mechanic. 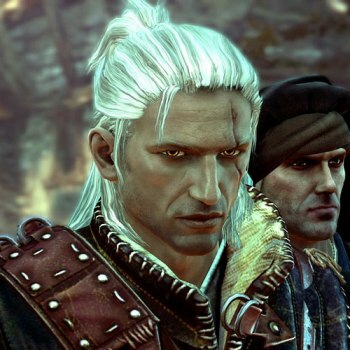 For instance, where other choice-centric titles have struggled just with giving truly alternative endings, The Witcher 2 could be completely different based on what you did in the game. That being the case, there are limits to the mechanic of choice and according to John Mamais, executive producer for The Witcher 3, the effectiveness of its use boils down to the quality of a story. "A good plot should not mimic reality in the sense that you can finish each quest in a million different ways-it's about unexpected twists or the feelings it evokes and not the sheer number of 'outcomes,'" he said in a discussion about the game. "We're focusing on bringing you really gripping stuff-each subquest in the game feels deep, each choice and its consequences credible and real-that's the main idea we want to convey with The Witcher 3 and we always want to emphasize that." None of this is to suggest that The Witcher 3 will be any shorter of options that its predecessors. "We also care about nonlinearity and providing a variety of paths," said Mamai. "The previous Witcher games provide ample evidence of that and The Witcher 3 will be no exception." Considering that The Witcher 3 will be including open world aspects in addition to its choice mechanics and tightly crafted storyline, it looks to be shaping up into a project that will require some serious balancing of arguably disparate devotions. While CD Projekt RED's previous work would arguably suggest that it's up to it, it should nonetheless be a challenge for the developer. That said, we'll be waiting with baited breath to see the end results.